Buying for PC fans can seem like a problem, as they tend to have all the latest gadgets and gizmos already, but there's no need to panic. There have never been so many handy gadgets on the market, and this Christmas it's all about simplifying your life and freeing yourself from the confines of your PC. We've found 12 gadgets which make using PCs even more fun, from amazing wireless gaming controllers, charging mats which cut annoying wires and amazing headphones for under £15. Happy Christmas. Any PC user who wants to game needs an Xbox 360 pad, which is the most comfortable ever created, in our opinion. To use the wireless controller with a PC you will need to purchase the receiver, or you can just plug and play with the wired version. The pad is compatible with most games, and there's no extra software or calibration required. Musical PC users who want to enjoy their strummings on PC will love the USB Guitar Link. This neat little box turns the analogue output of a guitar into a USB connection for the PC. The package comes with Audacity, which is a great program for recording and editing sounds, as well as Guitar Combos, which enables you to use sound effects and samples into your rock creations. Henry is a favourite here in the office, and he's been instrumental in ridding keyboards of nasty crumbs and dust. His appetite for crumbs is insatiable, and the delight that smiley face spreads is worth his modest price alone. The perfect stocking filler for the biscuit loving PC user. PC users love gadgets, and gadgets love being plugged into large bundles of wires, looking unsightly and getting in the way. 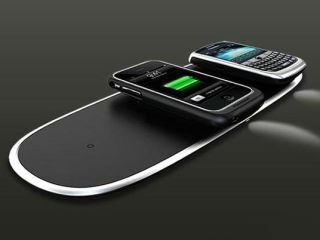 Powermat is the perfect answer, and uses voodoo magic or "magnetic induction" to charge items that are placed on the surface. Is there a cooler gift for gadget geeks this Christmas? We think not. If you know a PC user who's frustrated by having to watch movies on their screen rather than TV, then the WD TV is the perfect gift. This small box of tricks hooks up to the HDMI port on high-def TVs, and can play movies, music and pictures files off a USB stick no matter what the format. What's more this gadget just plugs and plays, so there's no messing around with formats or streaming required. Music can bring back incredible memories, and we've already featured vinyl converters which turn your old records into MP3s on TechRadar before. The Tape Express does the same but for audio tapes, so those old mixes which were lovingly crafted for girlfriends and mates, rather than unceremoniously dragged and dropped, can be enjoyed once again.